The QM2 has arrived in New York and I have therefore been able to talk to Robin for the first time in a week. He was enjoying a view of the 'Statue of Liberty', which never loses its magic, no matter how often you see it. That's probably a good thing as I think he has lost count now. It does, on this trip anyway, signify the start of the journey home. As you can imagine we are all looking forward to his return. It was a good trip though. The nails were an issue, but I was delighted when Patricia, over on oboeinsight, picked up on the problems. As she pointed out, she hadn't thought about guitarists, and their nails. Why would you unless closely associated with the instrument. But nails are a major problem for all guitarists, apart from a very lucky few, so there's a constant search for new products to make life easier. Silk wrap and super glue are not easy to apply/shape/file in front of 1000 people!! Apart from the nails, both the concerts were very well received, and for the remainder of the trip Robin has been having some lovely comments from members of the audience. Annette, the soprano singer, saw his second concert and gave him a standing ovation, high praise indeed from another musician. He equally enjoyed her performance in a rather posh private function. But you also meet interesting people. One was a harpist from South Carolina that showed Robin how the harp works and explained that she had been taught by two of Harpo Marx's teachers in New York! The second and last guitar concert on the QM2 went very well. Despite feeling like he had someones toenails glued to two finger ends the concert was a success and the audience enjoyed it. Robin had a lot of very positive feedback which is always nice. He decided to relax back in his room afterwards by practicing the Bach Prelude from Lute Suite No.4!! It can in fact be classical music in general. I have a strong suspicion that the same applies to children. You wouldn't believe the number of shoes I have just had to buy. Finally news of the first guitar concert on the QM2. The venue was full which is around 1000 people. Robin entered and started with some Lute Pieces. At the end of the final one, both his index, and middle finger nails broke. This is the worst case scenario for any guitarist. It is impossible to continue playing without attending to the problem. This, Robin had to do, on stage, whilst explaining to a very understanding audience what had happened. He managed to complete the rest of the concert without further mishap, but, with only a temporary, 'quick fix' repair, he felt unable to fully trust the nails. Consequently it was rather a trial for Robin. I'm sure it was more of a problem for him than it was the audience. As I've said before, audiences seem to like it when something unusual happens. Especially if the artist tells them what he is doing to try and resolve the problem. Never the less, I think it is an experience Robin doesn't wish to repeat. The worry now is that the next concert is on Wednesday, so, I imagine today has been taken up with some pretty major rebuilding job going on. No news as yet from the QM2 so I don't know how the first guitar concert went. 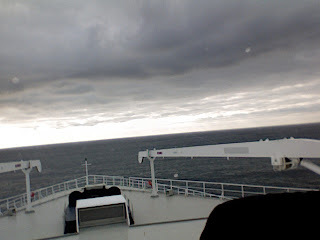 This happens sometimes, e mails are not always reliable, especially when in the middle of the Atlantic. Although this isn't a view Robin has sent on this particular trip it's pretty much what he will be seeing at the moment. Hopefully I'll have more details for you tomorrow. Contact has at last been made with the QM2. Robin has just done a T.V. show to promote his first guitar concert tomorrow. A word of advice for anyone that values their hands. Don't shake hands with an explorer. Especially one that has walked solo to both poles, climbed Everest solo, and flown around the world in a hot air balloon. Obviously all these experiences require very strong hands, as Robin discovered when his right hand was 'crushed', during a humble handshake. This chap must have a very firm grip as Robin is also known for rather powerful hands. Years of right and left hand exercises have seen to that. I just hope some feeling has returned to his digits before the concert tomorrow! Robin has now arrived in Southampton and joined the QM2. But he's now on board and reacquainting himself with the layout. Unless you have been on one of these ships I think it's difficult to appreciate the size of them. His first guitar concert isn't until Monday so he has a little time to settle in. I, however, have had to entertain two small boys. Both of which were taking full advantage of the phrase, "Oh but Daddys gone away..."
Consequently they have been out on their bikes, not an easy task as I also had two dogs with me, plus we've made cakes. That and a very early start should mean I get them off to bed pretty early. Robin has made his last 'phone call until he reaches New York, so, we will be relying on emails from now on. I shall of course update you as we go along. He did tell me that he has already run through the first concert in his room. So he's definitely getting down to some serious practise. We have all heard the news that Tim Henman is due to retire from competitive tennis at the end of September. After a 13 year career and 11 titles he has done exceptionally well. It must be so difficult for sportsmen and women. They dedicate their youth to improving their game and have such a limited time to prove themselves. To retire from a sport that has been your life, when you are only 32, must be incredibly difficult. The adrenaline rush of a finals match will be a difficult feeling to learn to live without. Although I'm sure he stall has a lot to offer the game and future generations. How different to the life of a musician. For classical musicians particularly, at 32, you are only just getting going. It's the complete reverse of the situation in which sportsmen find themselves. Henman is retiring for many reasons. Age is only one of them, he also has a persistent back problem, and it is impossible to compete at the level he plays unless in the peak of fitness. But the other reason he cites is the imminent birth of his third child. Years of travelling the tennis circuit require lengthy periods of time away from home. It is however also a situation that the families of musicians have to face. Robin has spent the day in final preparations for his next trip, and I have been folding shirts and packing his case. At least we got most of the school holidays with him at home which has been a rare treat. But at least Robin knows that his career doesn't have to end purely because of age. Hopefully he will have many, many, more years to use the skills he has spent so long achieving. Everybody is talking about the 'Simon Bolivar Youth Orchestra of Venezuela' and their recent appearance at the Proms. It wasn't only their playing that grabbed the headlines but the joy they displayed whilst performing. You can read all about it in this article by Paul Gent. The article also looks at Venezuela's music education system, 'El Sistema', which shows what can be achieved with some financial input and a large amount of foresight. We have first hand experience of working with the 'Symphony Orchestra Gran Mariscal De Ayacucho' in Caracas. Some years ago the Hill/Wiltschinsky Guitar Duo performed Castelnuovo-Tedesco's 'Concerto for Two Guitars' with them. Prior to the concert all the orchestra were outside, sitting in the shade of the trees, with their instruments, practising. The venue was full, with many families and young children, all excited at the prospect of the evening. That in itself is encouraging. The most interesting point though is that AFTER the concert, the same musicians were back outside, practising the parts they felt should have been better. I've never seen that anywhere else. They all wanted to talk to the duo about their playing and the piece in general, and there was a huge amount of respect from all the members of the orchestra, and the audience. As El Sistema was established in 1975 I assume that many of the orchestral players had gone through the system. One of their goals is to, "create citizens with all the values they need to exist in society - responsibility, teamwork, respect, cooperation and work ethic." Seems to me that these are all qualities we need to promote here in the UK. I'm so pleased Robin didn't delete the fugue section of the piece I was discussing yesterday. We listened again and both felt it did work. It just shows that sometimes you have to take a step back and let the subconscious work on things for a while before revisiting. Some changes have taken place and the whole piece is coming together very nicely. It's just a case of how much can be done before Robin goes away. I'm sure he'll be very tempted to continue composing, whilst on his next trip, and in some ways it would be easier. But the fear of an eager audience may outway the urge to compose. It will be interesting to see when he comes home again. Meanwhile here the sun has been shining. This is such a rare occasion this summer that we have all tried to make the most of it. Robin has recently rediscovered the joys of cycling and has spent many happy hours with son number one covering some rather large distances. Family commitments are yet another distraction for the active musician, but it is essential to get a balance, especially as the school holidays enter the final stages. Blogs may be a little brief then! Robin has a trip looming which requires him to enter 'high practice mode'. See yesterdays blog for the reasons. He is also in the throws of composition. A new piece involving orchestra and choir. When he picks up his guitar to practice he feels the pull of the computer to continue composing. When he's at the computer the guitar is calling him back. Consequently he is doing both. All day I heard this struggle going on in the music room. It began to feel like I was married to 'Sybil', a character from a book of the same name, with multiple personalities. Late in the evening I was called. "What do you think if I get the choir to go into a fugue here?" It was my turn for the stress response to kick in. We listened to the whole piece so far, about 6 minutes. I was familiar with the first 4 minutes as I'd been hearing it on and off all day. When the new part arrived I was unsure. Was all this responsibility on me? "Let me hear it again". I wanted more time. To my relief Robin then said, "I don't think it works." He had taken the pressure off me in just a few words. "Well, I don't think it does, but don't delete it yet. Lets listen again in the morning." He left it where it was. The reality is that whilst Robin wants my opinion, he's really only using me as a soundboard. Who am I to say what will work. I'm not a musician. He needs to see how others will hear it. Ultimately though he will make the decisions. He knows what he's doing though. From experience his own pieces have always been exceptionally well received in concert. Whether they be solo, duo or orchestral. The fact is that nothing ever gets to the point of being heard by the public unless he is happy with it. As Johannes Brahms once said, "The hard thing is not to compose, but to let the superfluous notes fall under the table." Jessica Duchen had an interesting blog yesterday which prompted comments about musicians using drugs to cope with the stress of performing. You can read the post here. Some musicians turn to drugs, such as beta blockers, to help calm their nerves prior to a performance. However it is certainly not a path that Robin has followed. He was once prescribed them by his GP, but didn't take them, as he was more concerned that it would take the 'edge' off his playing than anything else. Stress is a reaction to a situation. When you put a person in a stressful situation a surge of adrenaline is triggered. The heart rate increases, sweat is produced, the hands start to shake and the limbs become cold, as the blood is diverted to the major organs and muscles to aid rapid escape. That's OK when trying to run away from a tiger or when leaping out of the way of a bus. It's not OK if the hands which are about to play the guitar have become cold and are shaking. Musicians therefore need to learn how to cope with this. For many years adrenaline was Robin's nightmare. As the day of a concert got nearer the tension would mount. The days after a concert weren't much easier, as most musicians focus solely on the one wrong note they played, and not the thousands of right ones. Post concert post mortems were never easy. But as a musician develops, and gains experience and confidence, he learns how to use that adrenaline to his advantage. The musician needs to be truly prepared for the concert. By that I mean many years of practice and performances, and rehearsing pieces not to get them right, but until it's almost impossible get them wrong. Then, and only then, is there a chance of harnessing the adrenaline rush. Nowadays Robin deals with the stress of performance very well (but still says he would be scared if he wasn't scared). We no longer have days of apprehension pre concert. Merely hours and hours of rehearsal. He is also able to recognise that a concert is judged as a whole. If an audience has been entertained , and leaves the venue happy, then one important objective has been achieved. There's no need to self medicate, just prepare, prepare and prepare again and seize any opportunity to play for an audience big or small. Today has been taken over by composing - again. It is the only thing I know that will keep Robin away from his guitar for more than a few hours. It's all Pat Metheny's fault. If we hadn't listened to 'Last Train Home' the other day Robin wouldn't have got out both his electric sitar and traditional sitar. From that a riff was created and recorded. Tabla added, yes we have those too, and Robin is something of a frustrated percussionist. Before you know it we have a piece of music reverberating around the house. Son number one was enlisted to add some vocals and I thought that was the end of it. A new, extended version is now being created, with choir and orchestra. The score becomes more elaborate by the minute. When I ask what is to become of this new piece I'm told, "That's your department, I'm composing it and playing it, you do the rest." We had set aside today to complete many outstanding jobs. Suffice to say that none have been dealt with as yet. This is the problem for the wife of a musician. Just when you think you have his attention for a couple of hours to get things done, he goes and has a musical idea, and you know you might as well go with the flow as nothing will distract him. I'm sure most people wash the car, mow the lawn, that type of thing, on a Sunday. Ohh well, I can't get in the way of creativity. I learnt long ago to just let him get on with it and enjoy the music. This is a fantastic and beautiful instrument which requires a lifetime of work. The whole technique is very different to the classical guitar but more similar to the electric guitar. Traditionally the player sits on the floor, with legs crossed, but, as Robin finds it difficult to stay in this position for long, he has devised his own seating arrangement. It seems to work for him and he is able to get some very nice sounds. However, this also gives Robin the opportunity to rest his nails, whilst still making music. Consequently yet another project is underway using the sitar. 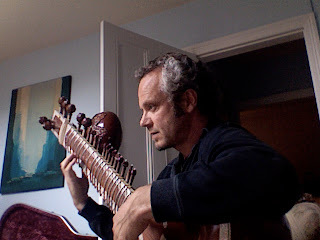 Robin's sitar has two 'toomba' which are made from gourds and act as a form of amplification. It was certainly a rather unusual shaped parcel when it was delivered! After listening to Pat Metheny the other day Robin just couldn't resist getting out his electric sitar. 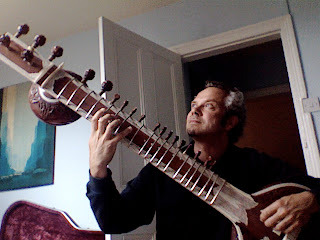 He plays a Jerry Jones Electric Sitar and as you can see, there are the conventional strings as you find on an ordinary electric guitar, but also there are 13 sympathetic strings. These are designed to resonate as you play which, along with the special bridge, gives the 'sitar' sound. So watch this space for more information. We listened to three pieces today, which were all connected with trains, and all fantastic. The first was Arthur Honegger's 'Pacific 231'. Honegger was actually born Oscar Arthur Honegger but never used his first name. He was one of 'Les Six', the name given to a group of six composers working in Montparnasse, Paris. The other five being, George Auric, Louis Durey, Darius Milhaud, Francis Poulenc and Germaine Tailleferre. Honegger was widely known as a train enthusiast and once said, "I have always loved locomotives passionately. For me they are living creatures and I love them as others love women or horses." Pacific 231 gained him early notoriety in 1923 and is well worth listening to. The second train related piece was from the Brazilian composer Heitor Villa-Lobos. Villa-Lobos was deeply attached to the music of Bach and believed similarities existed between Bach's compositions and Brazilian folk music. He explored this theory in a series of nine suites, 'Bachianas Brasileiras'. The final movement of Suite No.2, 'Little Train of Caipira' represents the train journey that local farmers made in the Sao Paolo area. The third piece is a very different style but equally as enjoyable. It is by the American jazz guitarist and composer Pat Metheny. 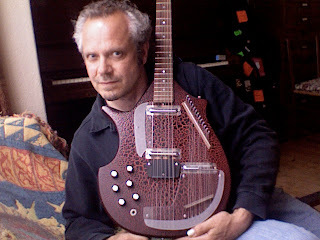 It's called 'Last Train Home' and is played on a Coral Sitar which is a cross between and electric guitar and a sitar. The result is a fantastic and unique sound and beautifully played. I was very pleased to see that ACD over on 'Sounds and Fury' had taken the time to read our blog on live music/iPods, and direct them our way. There seems to be a certain amount of 'clarification' going on all over the place. I was neither agreeing nor disagreeing with ACD really. Just putting my point across from another perspective. That of a musician. Robin loves to hear music played live, whether he is attending a concert, or, performing it. He also loves to hear music on whatever format that it is available. There are times when we have to revert to cassettes/albums/DAT and even reel to reel, but you quickly adjust your hearing to cope with whatever distractions are playing alongside the music. For long deleted pieces it's just great to be able to hear them. I then went off at somewhat of a tangent, although not completely unrelated, to point out the differences for a musician between performing live and recording. Basically there's a different mindset required for both these activities and both are rewarding in their own way. I think there's probably a whole individual blog in there waiting to come out. Meanwhile, business as usual here, or as usual as it can ever be. Last night a private function in a Masonic Hall, tonight, another private function for the Prince's Trust. At least life's never dull. The next time you find yourself at a concert, enjoying the sublime music and admiring the dexterity of the musician, take a moment to reflect, that behind every musician lies a significant other, carrying out a million household chores, that most people take for granted. All musicians have to take care of their hands. They are their livelihood after all. But for guitarists it goes even further. Not just the hands but the right hand nails too. Robin goes to great lengths to protect his hands, but as you can imagine, protecting the nails of the right hand is a full time job in itself. He long ago retrained his brain to use his left hand for tasks which he would instinctively have used his right. Such a simple procedure, but many a 'chip' in a nail, can be obtained whist carrying out such a manoeuvre. Therefore Robin uses his left hand. That may sound easy, but when you are naturally right handed, you have to override your urge to reach out with your dominant hand. I tried it for a day once, and believe me, it isn't as easy as it sounds. Luckily for Robin it has now become second nature. You may be wondering what has brought on this tirade. Son number one has grown. Consequently his indestructible, easy maintenance bike, is now too small. Off they went to purchase a new one with great excitement. They came back with the new bike and explained all the special features. Disc brakes and far too many gears to even think about. So they went on a ride. They came home full of joy and son still had his front teeth despite the disc breaks being much keener than the ones he was used to. The next day they went out again. This time my nephew was with them. I was very pleased he was as the chain came off the bike. Luckily for us my nephew is an experienced cyclist, and despite his young age, 8, deftly put the chain back in place. This may have something to do with his Dad, my brother, being one of only two people to have cycled across Iceland. The other person being his friend that was with him at the time. Unluckily for us, they went out again today, and nephew wasn't there. You guessed it, the chain came off again. I don't know if this is a faulty bike, or, if son number one just has to get used to gear changes. However it left Robin in a dilemma. Does he try and put the chain back on and please son, or, push the bike home and get me to do it. When they arrived home Robin was already explaining that he had to play tonight and could hardly turn up covered in oil. So I have now officially added bicycle maintenance to my ever growing list of jobs. As I said, when you are next at a concert, enjoy the music, but remember that somewhere in the background is a hard working wife, whose hands are nowhere near as clean. Don't even get me started on washing up. Prompted by my title yesterday, 'The Goodbye Look', we have been listening to Donald Fagen's 'The Nightfly'. We have both known this album for years, but as is often the case, you listen to something endlessly for a while, and it can be some months/years before you return. I'm glad we did I'd forgotten just how great it is. This was his first solo album after leaving Steely Dan and it was released in 1982. I can't believe how fresh it still sounds. Apart from the music being fantastic, and some of the coolest grooves around, the lyrics are also incredible. Most of the tracks are a retrospective tribute to his youth in the 50's and 60's, with 'I.G.Y' taken from a news report that in the future it would be possible to travel by underground train from New York to Paris. The whole concept is a wonderful one, and rather than tell you all about it, I suggest you buy it, sit back, and enjoy the journey. This morning Robin repaired a nail and tentatively tried it out. A musical phrase was quietly played. It was unfamiliar to me but I very quickly realised what was happening. The phrase grew and became 10 or so bars. Sure enough, after a few more minutes, I was called. I could tell as soon as I saw Robin's face that a new piece of music was being born. He played it to me and then went on at some lengths to explain what was going to happen next. I have a good ear and was able to discuss the piece as far as it went. It was obvious that it could turn into a great piece of music. The main theme is swirling round in my mind and I'm unable to clear it. But the whole piece is in Robin's mind. He has the look he gets only when his mind is completely taken over by something new which has to force its way out. He explained what all the instruments would be doing, and appears quite clear in the direction the piece will take. I however will have to wait. Whilst the notes remain in Robin's head alone, I am unable to understand completely what he means. Even when they are committed to paper I don't have the skill to follow a score and 'hear' the notes. But when he plays them to me, well, that's a different matter. I know from experience that I will be drafted in with increasing regularity as the piece progresses. Expected to listen and comment on the process as it is created. How many people are in the privileged position that I am? So often musicians are asked how they go about composing. Usually they are unable to say. I know though, for Robin, anyway. And it starts with a look - as simple as that. Have We Moved On From The Wax Cylinder? I've been thinking about the iPod/mp3 debate that is going on around the blogosphere at the moment. My thoughts were prompted by a post by Ben over on Classical Convert. Initially Ben took on the mighty ACD about comments he had made on Sounds and Fury regarding iPods. The initial post is here, and this is the update. Classical Convert's first post has since been revised with many comments that I was going to discuss today. You can read Ben's update here. The points I was going to make are these. Nothing can replace the experience of hearing and seeing music performed live. A skilled musician not only has to perform well musically, but, also has to be able to relate to and entertain his/her audience. It's all part of the experience and one that generally improves over time as the musician gains more confidence. For me the best concerts I have seen have always been ones when the artist has obviously engaged well with the audience. It makes it a special occasion for all concerned. Robin has always maintained that he has the best seat in the house when performing with an orchestra as a soloist. It's very difficult to capture the concert experience in its entirety on a recording, as the visual cues are missing, along with any verbal introductions that are made. Therefore the musician's task is to try to relay the essence and spirit of the piece by their playing alone. If they manage to capture the energy and expression they want to portray, then this will be heard by the listener, whether it's on mp3s or wax cylinder. Our ear adjusts to the sound we are hearing and 'allows' for technical development at the time of recording. Within 10 seconds or so we start focusing on the musical content and interpretation rather than the sound. I'd far sooner hear an early recording of Segovia or Heifetz, complete with crackles and excessive background noise, than not hear them at all. Whilst we may not like mp3s or their equivalent they are a symbol of our times and one we have to adjust to. It can be seen in a very positive light though. It has never been easier to get hold of music than it is today. Many times Robin would have to give up large chunks of time, travel to the nearest city, Manchester, to try and find a particular recording. Usually it would have to be ordered which would mean a second trip to collect it. Only the very keen would bother to go to these lengths. Now, well, a click of a button and more often than not, you have what you are looking for. This has got to help with promoting classical music in general which can only be a good thing. On another subject, we were very sad to hear of the death of 'Mr.Manchester', Tony Wilson. Whilst our paths didn't cross regularly, back in the late 1970's, Tony Wilson chose one of Robin's songs, 'Celebration', to win a 'Battle of the Bands' competition. As he gave him the prize he told Robin that the judges also wanted to give him 'Best Guitarist' award, for his performance with 'Force 10', but felt the same person couldn't get both prizes! Tony Wilson was a huge influence on the music scene and Manchester will miss him. I won't keep you waiting any longer, the piece I posted yesterday, with a few extra notes added, was the last page of Bach's 'Prelude from the 4th Lute Suite'. We had a lot of people who appeared to be studying it, but no one identified the piece, so, I can keep the prize! That's the beauty of being in charge - you get to make the rules. Guitar Widow did however make a good point. You're never too young to start learning. This is true and many exceptional players learn from a very early age. It isn't always the case though. Some come to their chosen instrument mid to late teens and still reach excellent standards. We've always made instruments available for our children to pick up and play with. In fact a ukelele was purchased soon after the birth of son number one and he frequently sat in his cot playing with it. The result is that both children look, and feel, very at ease holding a guitar. It's completely natural to them. The downside for children of professional musicians, is that they see and hear every day, the amount of practice and commitment required to reach a high standard. For young children this can seem very daunting and I feel they can have a fear that they are expected to practice the same amount, and produce the same results, in a short space of time. Obviously this isn't the case, and we have tried to reassure them, that a little practice every day is a good starting point. Musicians generally mature and improve with age. I doubt you'll ever hear a musician say they are taking early retirement. It takes years of experience to truly master any instrument. I remember seeing Segovia play when he was well into his 90's. So I'd better prepare myself for many more years of travel! Meanwhile the children continue to play with ukelele/guitar/piano/drums and eventually they may settle on one they wish to pursue. But do you give them formal lessons? I feel that learning how to read music is as important as learning French/Spanish/German - whatever. It's a skill that will never be wasted and may well bring great pleasure at some stage of life. So, yes, I think they should learn the basics. But I would never force a child to take up an instrument. Can you identify this piece of music? It appears that we have a budding composer in the family who felt that the original required a little something extra. I suspect son number two is involved and I'm quite impressed that, at the age of 4, he appears to have grasped the concept of triplets! We decided to take a little time out yesterday and do a few family things. It was great and we had a lovely day. Some of that time, was spent in a car, and anyone with small children will realise that the two don't necessarily sit comfortably together. We had prepared for this. Robin had downloaded the music from 'The Simpsons Movie', which kept them amused for a while, guessing which part of the film was being depicted. 'Spiderpig' proved the most popular. By the time we'd heard that a few times it was our turn. Then there was the recently purchased book for just these occasions. 'I'm Bored!' by Suzy Barratt and Polly Beard is a great book packed with ideas for most situations. I hadn't realised quite how much time I spend dealing with the computer over the day. 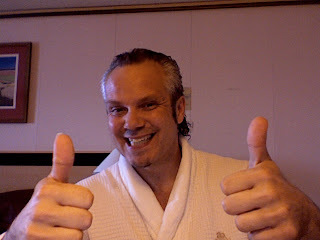 Some were spam and some needed dealing with but consequently I never got around to blogging last night. Still, it's good to keep you all guessing! Meanwhile, Robin is now back behind his guitar, and relishing playing through some Bach. 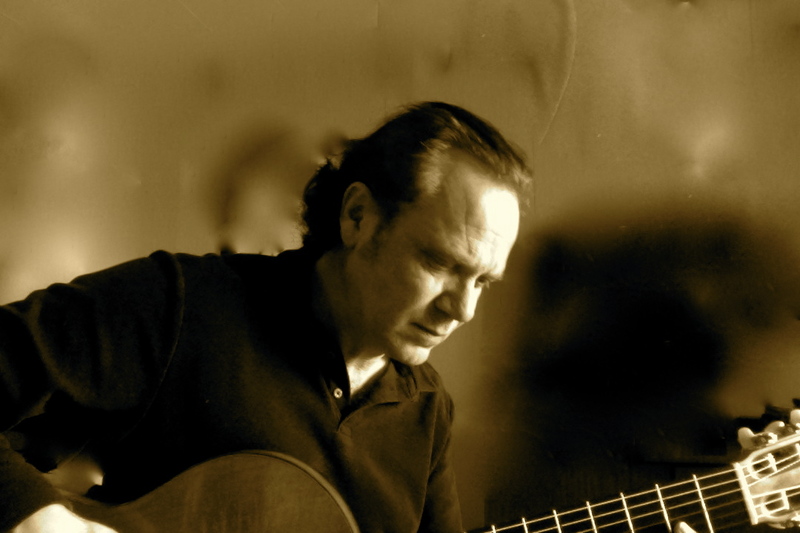 Back in July I showed you a review the duo received after a concert in the Sistine Theatre, Rome, to pay homage to the legendary guitarist Andres Segovia. Towards the end of the article it mentions the duo playing, 'La Tarantella' from the 'Suite Italiana', which was composed especially for Hill/Wiltschinsky by Mario Gangi. The reporter also mentioned that Gangi was seated next to him and was "hardly able to hide his satisfaction for the lovely performance." Today I've decided to let you hear it for yourself. This is the final movement, 'La Tarantella' from the 'Suite Italiana' by Mario Gangi, performed by the Hill/Wiltschinsky Guitar Duo. Whilst I repair a problem you can hear the piece from the player in the sidebar. We haven't shared our Sunday morning music session with you for a while so I thought I would today. As always it's a pretty eclectic mix obtained by putting the iPod on 'shuffle', sitting back, and enjoying. Concerto for Piano and Orchestra No 23 in A Major k.488 Prelude:III.Allegro Assai. This version was Chick Corea on piano with Bobby McFerrin conducting. It was fantastic to hear two jazz musicians cross over to classical performances so convincingly. I've written about Chick Corea on many occasions but it's a first for Bobby McFerrin. We also have an incredible vocal version of Bobby singing the Henry Mancini's theme the 'Pink Panther'. Two other jazz players who managed to make the change to classical with great success were Benny Goodman and Herbie Hancock. Jaco Pastorius teamed up with the soul legends Sam and Dave on this extremely funky R&B tune. Tehillim II:Psalms 34:13-15. Performed by Alarm Will Sound & Ossia and conducted by Alan Pierson. This is, of course, the American composer, Steve Reich. The Beatles of course from their album 'Rubber Soul'. The Bonzo Dog Doo-Dah Band. Need I say more. Violin Concerto in G Minor, Op.63-1, Allegro Moderato. Ancient Airs and Dances, Suite No 1: 4. Passo Mezzo and Mascherada. This was the Boston Symphony performing Respighi. We had to leave it there as Robin needed to prepare for the last of his three summer concerts in the great outdoors. Thankfully the sun is shining. Robin fulfilled his parental duties last night by taking son number one, and his friend, to see 'The Simpsons Movie'. Now, we have an unusual way of rating films, here in Hillhouse. A little background before I explain. Robin is a highly energetic person and always has a huge amount to fit into each day. Sitting down and relaxing is way down on the list and something that only usually occurs around 10.30 pm. But he's also a good father and periodically takes son number one to the cinema. Our rating system is this. The score goes up in direct proportion to the reduction in sleep that Robin has, so, a film that rates 10/10 means that Robin has remained awake for the whole show. The Simpsons Movie scored a massive 10/10, (never achieved before) and not only did Robin remain awake, but he enjoyed it immensely. For a film to appeal to such an age range is not an easy task. All credit to The Simpsons team, not only for making two boys and Robin very happy, but also for providing us with regurgitated one liners all day long. Oh, and it's well worth visiting their site, which is interactive and good fun. Here's the link, 'The Simpsons Movie', check it out and enjoy. As always I've been listening to a lot of BBC Radio 4. Two items caught my attention. Today on 'You and Yours' with Liz Barclay and John Waite, they were discussing a project to get young people interested in classical music. I have mentioned this before. It's a scheme headed by the Bournemouth Symphony, along with many other orchestras and conductors, who want to provide free concerts for young people. They recognise the importance of trying to involve children and young adults in the world of classical music. They even took along a group from a local 6th form college to hear Beethoven at the Royal Albert Hall. Prior to the concert the youths thoughts ranged from, 'classical music is too long', 'not cool' and 'boring'. Obviously we have a lot to do in improving the image of classical music. But that's not all. Why a generation that can spend hours glued to a playstation would find it 'too long' is beyond me. I feel some work is needed in the area of increasing the attention span of our youth. I realise that to play computer games there's a level of interaction taking place, so we need to get more children playing instruments, and therefore feeling involved. However, post concert, the comments were more positive. They seemed to have genuinely enjoyed it, felt that seeing the musicians at work was good, but some had felt intimidated by the silence of the audience. Some also said that they would like to return and would bring a friend if that friend was already interested in classical music. Clearly more work is needed in the promotion of the whole area. Lets hope this project takes off. I was also delighted to hear that Liz Barclay is a 'guitar' fan, and the Spanish guitar has the ability to bring her out in 'goose bumps'! The other item I listened to was yesterday's 'PM' with Eddie Mair. There was a very interesting discussion taking place between Norman Lebrecht and Nicholas Kenyon. This had been prompted by a spontaneous round of applause, between movements, on Wednesday evenings performance of Mahler's 9th Symphony at The Proms. Now this is an area I have mentioned many times on the blog and debated at some length over on Sounds and Fury forum. Whilst both Lebrecht and Kenyon made their points very succinctly I must say I fall down on the side of Nicholas Kenyon. He actually made many of the same points that I have in the past. Whilst it shouldn't be encouraged, if applause occurs in the wrong places, well, just enjoy the fact that you've moved an audience and that they bothered to attend in the first place. It's also possible for a soloist or conductor to 'help' the audience understand where and when they can applaud, by using their body language. Given that the conductor Ilan Volkov wasn't put off by this occurrence, and that one of the things preventing a new generation from attending concerts is that they feel intimidated by the situation, then this is an area we need to address. It's not just the audience though. You have to keep your eye on the musicians. Back in 1953 the cellist Ambrose Gauntlett smuggled a camera into the Queen's Coronation, kept it in his cello case and remotely took an unauthorized picture of the proceedings. To read the full story by Luke Salkeld click here. I want to thank 'Paul' for his comment yesterday and 'taking up the baton' as it were, with the backward Bach. He pointed me in the direction of Hoffnung and it is well worth a visit to the site. An artist, cartoonist, caricaturist, broadcaster and not to mention musician. He actually played the bass tuba and was a member of the Morley College Orchestra. It was from this position, at the back of the orchestra, that he took full advantage of observing his fellow players, with hundreds of musical cartoons following. Such was his ability to motivate, that he persuaded many of the days foremost composers, such as Malcolm Arnold, Francis Chagrin, Joseph Harowitz, Aaron Copeland and Sir William Walton amongst others, to compose witty pieces for a concert at the Royal Festival Hall in 1956. His work continues to amuse people around the world today. For someone who died at the age of 34 he certainly accomplished much. It's quite ironic that I should discover this today as Robin has been to the funeral of a friend and colleague who has also died at a tragically young age. Karl Maddison was such a nice man and a talented musician, who worked as a sound engineer with Robin on many occasions, and in more recent times, they collaborated on various projects together in Karl's own studio, Mad Dog Music Studios. We have known Karl since he was 17 and watched him develop into a fine man and excellent musician. His tragic death has affected us both deeply. The life of a musician is certainly varied. This morning Robin found himself taking part in centenary celebrations with the Scout Association. It was 100 years ago today that Baden-Powell formed the scout movement and the event was marked by scouts in 216 countries and territories renewing their vows at 8am this morning. As son number one is a cub his local pack had arranged to join in the occasion with a dawn hike up the nearest pike. The group started their walk at 6.30 in order to be at the top in time to acknowledge the dawn of a new century for scouting. You can read more about 'Scouting's Sunrise' here. You can see that it was worth the walk for a lovely view. On the monument at the top of the pike they found this. It's nice to see that the graffiti artists of 1885 took a little more time than their modern day counterparts. Both Robin and son were home again by 10am. As we relaxed with a cup of coffee Robin showed me the Bach piece that he'd put into his Sibelius programme. You can play the pieces backwards!!! To save you the trouble of inputting all those notes, if you are lucky enough to have Sibelius that is, I can tell you it sounded pretty good. I'm sure the same couldn't be said for most compositions but it works with Bach!